What if you could go from being a beginner to earning four figures monthly as a freelance writer? 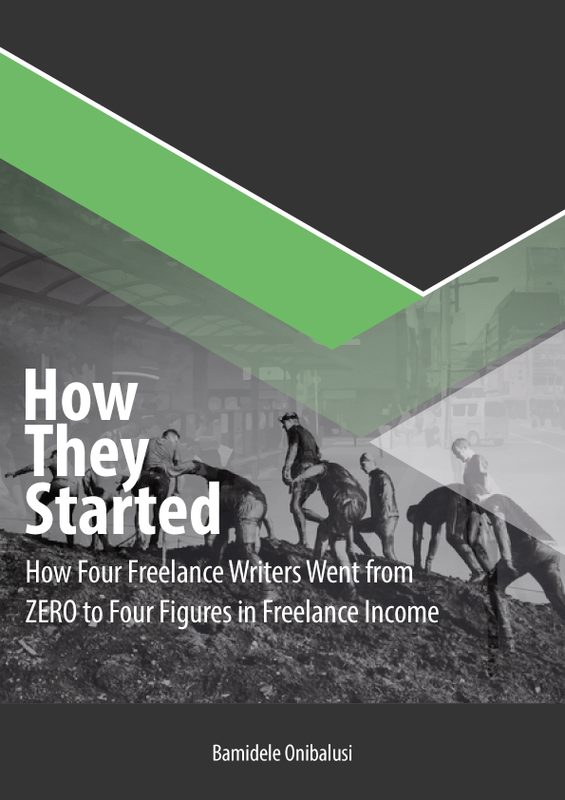 In this exclusive report that will be released shortly, I'll show you how four freelance writers with unique backgrounds went from ZERO to earning four figures monthly in income? Simply sign up to be notified when the report is released. Nick Darlington went from earning $15 per article to earning $100+ per article and up to $550 per article. Tolulope Ajiboye went from earning ZERO to earning up to $4,500 in a month while still while STILL in college. Richard Rhys Rowlands went from earning ZERO to earning $3,558 in his first month as a full-time freelance writer. Nicholas Godwin went from leaving school to earning $1,000 monthly and eventually up to $2,500 consistently as a freelance writer. More importantly, the EXACT steps they will take -- that YOU can follow -- if they were to start again today and have less than two months to start earning four figures monthly as a freelance writer. Sign Up to be NOTIFIED When the Report is Released! NOTIFY ME WHEN THE REPORT IS OUT! Copyright © 2017, Writers in Charge.